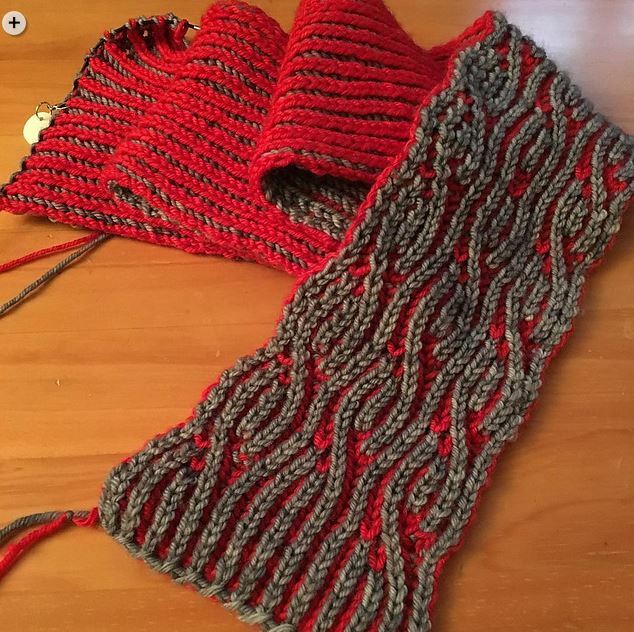 Thank you to Renee Callahan of East London Knits for sharing a picture of her brioche design I knit using my yarns. 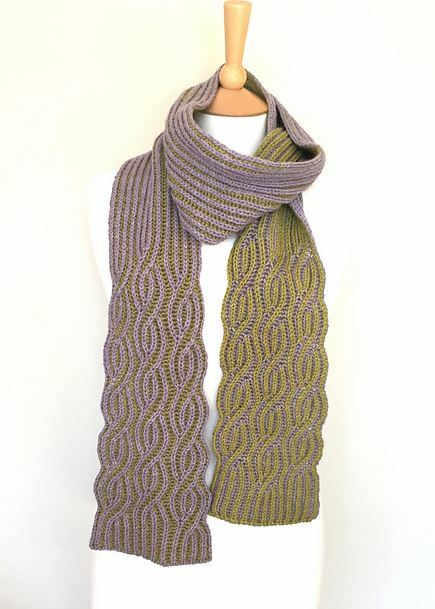 One of the best bits of being a knitwear designer is seeing your designs through the eyes of other knitters. 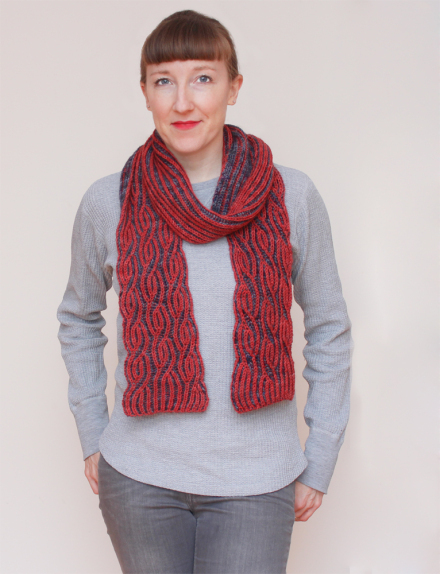 I released the Brioche Twister scarf pattern as a free pattern for subscribers to the EastLondonKnit newsletter in January and it has been wonderful to see the finished objects and work-in-progress popping up on Ravelry and Instagram. Bogga, aka Knitting in France, has made a fantastic version of her own hand-dyed yarn. 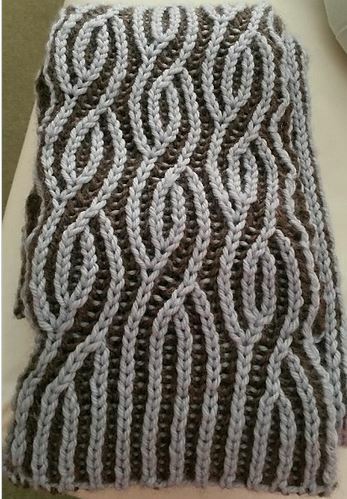 Maryl has made a beautiful version in West Yorkshire Spinners natural undyed brown Bluefaced Leicester yarn and Artesano Alpaca in the lightest blue, what a wonderful colour combo! Rachel of a Tangled Yarn worked the pattern up in beautiful Blacker Yarns Swan Falkland Islands DK; Grellow forever! !